Personal understanding of the Atonement of Jesus Christ is vital to understanding our own role in life. “Understanding as used in the scriptures does not refer solely or even primarily to intellectual or cognitive comprehension. Rather, when the Holy Ghost confirms in our hearts as true what we know in our minds understanding occurs.” (David A. Bednar, Power to Become, p.151) Expanding our understanding of the atonement can only come through personal study and personal revelation. I don’t know that it’s possible for any mortal to fully understand the depth and breadth of the atonement, but as we strive to gain understanding of what Jesus Christ does for us we will gain a clearer understanding of what our own role is. 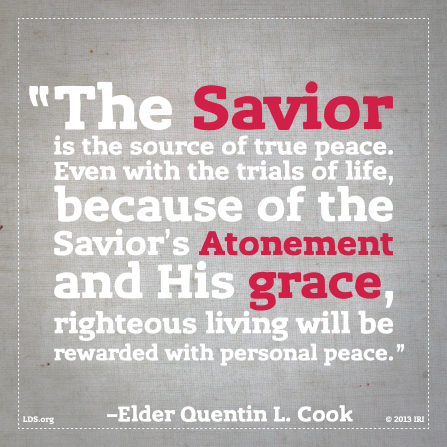 The atonement is available to all of us us to make it possible to be forgiven of our sins, and to perfect best efforts (grace) but we are required to be participants in our own salvation. We cannot sit idly by and expect Christ to do all the work for us. Our participation is essential. If we are not actively striving to do our best, our Savior cannot make up the difference. I have used the following story various times over the years, but it is a favorite of mine to illustrate in part my own understanding of the atonement. In 2012 I ran the Newport, Oregon marathon. The logistics of the marathon made it possible for Vaughn to bring his bike so that he could ride around the course and meet me frequently during the race. Although this was not my first marathon, this was the first one he was able to attend. The majority of the course consists of a long out and back section, meaning you run out to a turnaround point and then run the same course back to the start. As I was running the out portion I was feeling good. Vaughn would show up every few miles and cheer for me, make sure I had enough water and food, and then ride on to find another good spot to cheer for me. I made friends with a few of the runners around me and was having a lot of fun. As I reached the turnaround and started my journey back to the finish line the distance left to cover seemed to stretch out before me. My new-found running buddies and I slowly started spreading out; some ahead and some behind, and I found myself alone. Things started to get a lot harder and Vaughn started showing up more frequently. Occasionally, groups of people that I didn’t even know would see me, get very excited, and start cheering for me by name. I was baffled by their personal cheering, but very grateful because it seemed to always come when I was feeling especially alone. I didn’t know how they knew me until after the race Vaughn admitted that he was riding up to groups of people, letting them know I was coming, describing me, giving them my name so they could personally cheer for me, and riding off before I saw him. In the final miles of the race my discouragement hit an all time low. Nothing seemed as appealing as not running anymore and the only thing that kept me from stopping was the knowledge that the fastest way back to the finish line was to keep running. Although my feet kept moving, my discouragement deepened. Suddenly Vaughn was next to me, not just for a moment or two as he and previously been, but he rode by me constantly for miles. He could see I was struggling and that he needed to give me more support than he previously had. I was grateful and comforted by his presence. A huge gust of wind came and I felt like I had stopped in my tracks. The previously difficult task had been made nearly impossible by the strong headwind. Vaughn instinctively maneuvered his bike so that he was riding directly in front of me, sheltering me from the wind and creating a safe space for me to continue my journey. In that moment, I distinctly remember the Spirit whispering to me ‘This is what the Savior does for you.’ When things are going well He is there to make sure I have what I need. He is gathering people to cheer for me and to help me. As the journey gets harder He is right beside me, comforting me with His presence, and when the gusts of wind come He is directly in front of me, sheltering me. As the much anticipated finish line finally came into sight Vaughn left me to finish on my own because only runners were allowed to cross the finish line. I was no longer worried or discouraged because the end was in sight and there was no longer any doubt that I could do it. As I crossed that finish line victoriously I was so happy that I hadn’t quit and had truly given it my best. Immediately afterwards Vaughn was there again, ready with open arms to congratulate me. No matter how much support I had from my husband and others, the work of running was mine alone. As tempting as it seemed, I couldn’t grab onto the back of Vaughn’s bike and let him pull me along. It was up to me to accomplish the task. He couldn’t lessen the length of my journey, or the terrain I would encounter, but he put himself in a position to create a safe space for me to accomplish my journey and to lighten my burden. We sometimes hear that the Savior will carry us through our afflictions. Although the image of our Savior carrying is initially appealing, it can lead to frustration when our pleading prayers and misguided faith don’t lead to a complete removal of our burdens. Though the Savior will ease our burdens, there is no free ride to the finish. It is required that we are active participants in our own salvation. We have to keep going, keep working, and keep following the Savior. At that marathon I got a new personal best time of 3:35:09. I was absolutely thrilled to run that fast, but I was also disappointed. To achieve every amateur marathon runner’s dream of qualifying for the Boston Marathon I needed to run a 3:35:00, 9 seconds faster than I had run. Those 9 seconds were haunting me. 9 seconds is too long taking a drink, it’s slightly slowing down when I ate, and it’s not taking the best line at the turnaround point. It’s aggravating to be that close to the goal and not achieve it. But the Lord had a purpose for those 9 seconds that wasn’t clear at the time. A few months after the Newport Marathon I was to run the St. George Marathon and pace my cousin through her first marathon. After getting so close to a BQ time at Newport I decided I was going attempt it again at the St. George Marathon. The morning of the race my cousin and I were together at the start line and it came time for us to line up at the starting line. I gave her a goodbye hug, wished her good luck, and headed up towards the pacer for the 3:35 group. A minute or two later I got a terrible sinking feeling. I thought perhaps it was just race day nerves overcoming me. I told myself that to get big results you had to take big risks and to buck up and I continued on my way. It was only a handful of steps later that I was literally stopped in my tracks with a horrible sinking feeling like I had never experienced before. I knew I was making the wrong choice. I turned around and headed back to my relieved cousin to fulfill my promise to pace her through her first marathon. Together we ran that hot, hot race in 6:20:25. I loved pacing her through her first marathon, I loved watching her almost as the observer understanding exactly how she felt and how hard it was, but I was selfishly having a difficult time with the fact that I was prevented from trying to run my own race. With my mortal view of things my time of 3:35:09 was frustrating and fell short of my goal. However, 3:35:09 was the perfect time for the Lord. It was fast enough to show me my goal was achievable, yet slow enough to keep me safe from danger. The enabling and strengthening aspect of the Atonement helps us to see and do and to become good in ways we could never recognize or accomplish with our limited mortal capacity. 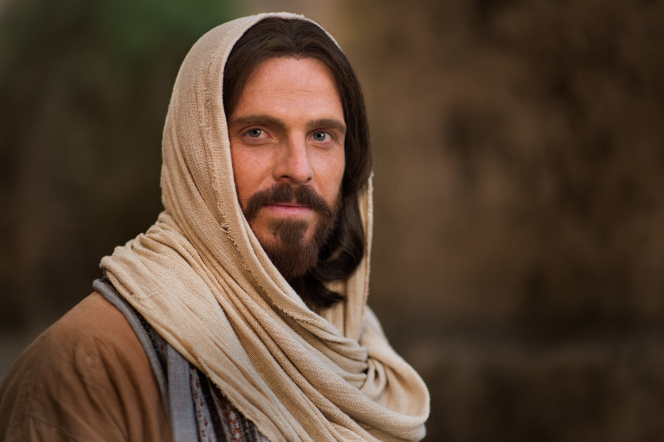 When we tell the Savior that we accept his atonement for us, accept his grace for us, we are telling him that we want to become the person he needs us to be. We willingly, with a lot guidance from the Holy Ghost, give up our image of what perfect is for faith in his knowledge of what we need to become perfect in him and accomplish our mission, not only on this earth, but in eternity. This was my first time reading this post and I just loved it. I felt the spirit while reading and I love the lessons you learned. I wrote a way less eloquent post about this a few months ago. I love how Heavenly Father can give us blessings at any time and that they can come in any form.